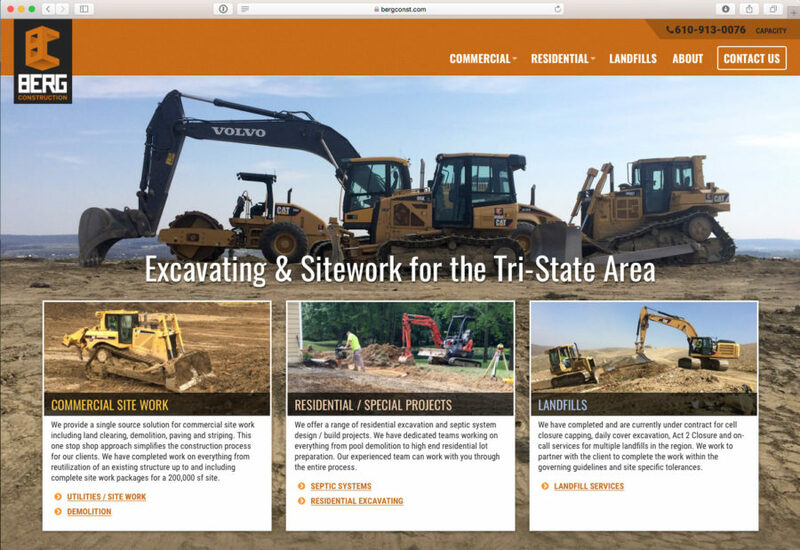 Website for Berg Construction - Yoder Design Co.
Berg Construction – a growing excavating company in southeast PA, wanted to be able to better demonstrate their services, capabilities, and projects. My redesigned website for them does that. Check it out at bergconst.com. February 27, 2017 | Posted in: Web Design. Drop me a line at 717-823-1697 or email me and we can discuss whether your project is something with which I can help you.